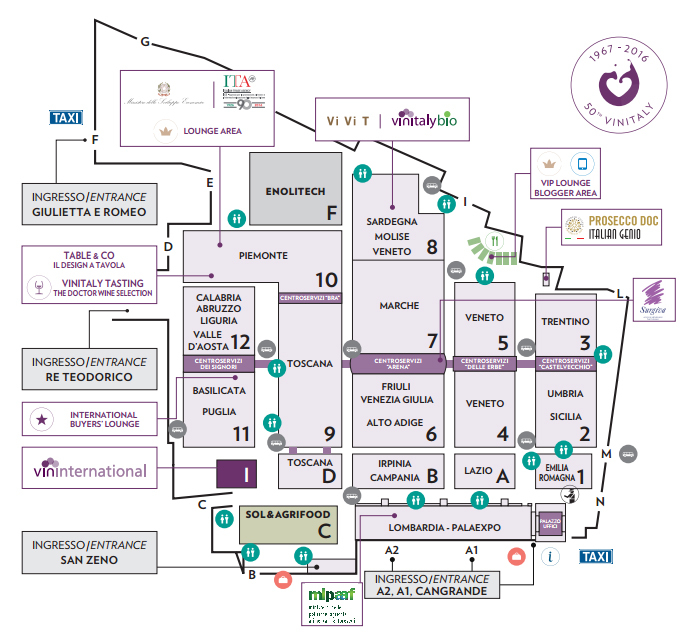 We are very excited to take part one more time in the Italian biggest event dedicated to wine and spirits, VINITALY. We are waiting for you from 7 to 10 April, in Verona, at Hall 12 Calabria Area (in front of Re Teodorico entrance), Stand 42. It will be a pleasure to taste our wines with you and give you a little experience of our authentic and wild territory. Azienda vinicola Malaspina will be at Vinitaly again this year! 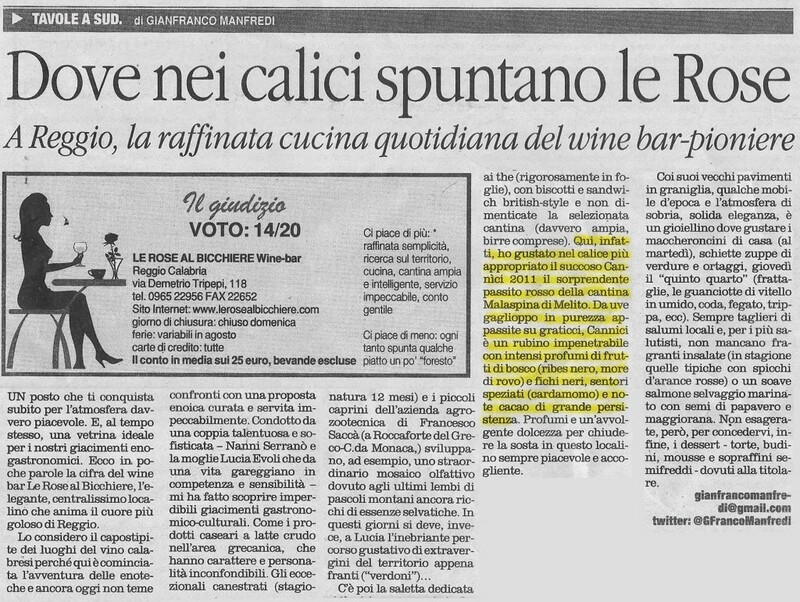 Our Cannici 2011 has been on “Il Quotidiano” in an article written by Gianfranco Manfredi. A panel of wine lovers, journalists and bloggers have votated wines during the final in Buttrio of ViniBuoni d’Italia 2015. 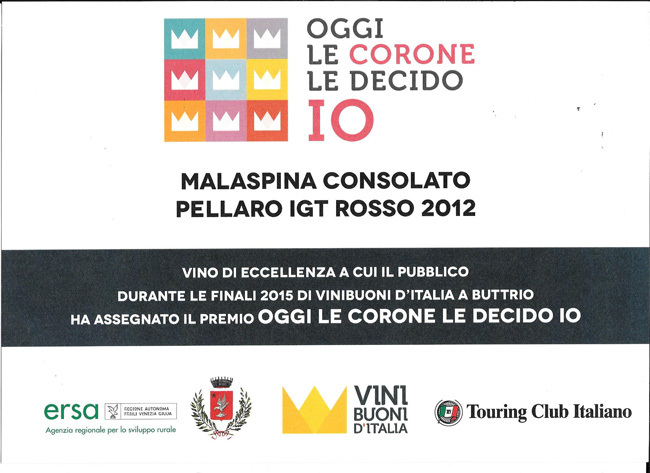 Our Pellaro 2012 has been awarded again!